Once you upload your presentation to SkyDrive, you can access it from the new Metro interface on Outlook.com or from SkyDrive location. 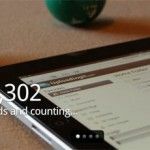 Then you can open your presentations online or share the presentation with your colleagues in the same way you did with other web based solutions like Zoho or Google Docs. 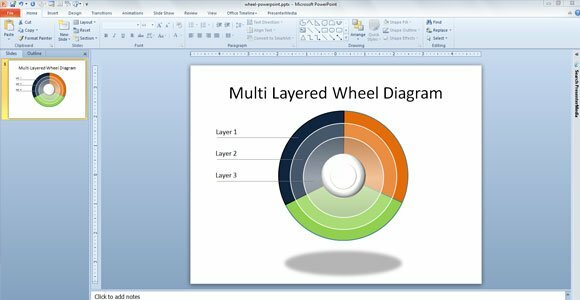 In this tutorial we will try to upload a multi layered wheel diagram designed in PowerPoint to the cloud, using MS PowerPoint 2010. 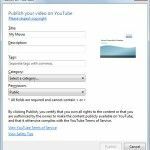 You need to click on File and then Send & Share. Depending on your version and release, this may be changed to something like File -> Share. 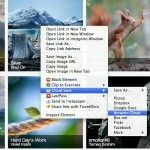 This File menu replaces the Microsoft Office Backstage button that was available in earlier versions if PowerPoint and Office programs. Then click on Save to Web. and now you will be guided to login to your Skydrive account. You can create a free account on Outlook.com if you don’t have one. Then, you need to choose the output folder in Skydrive. You can create new folders or use any existing folder. Finally save the changes. 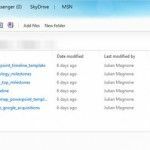 Now you can access SkyDrive and look for the file inside the folder. 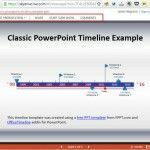 Once you open the PPT file in your browser it will be displayed in the online PowerPoint Viewer.